Content marketing is an efficient, cost-effective, and successful strategy for boosting brand awareness. When the tactics are implemented correctly, they can significantly increase the awareness of your brand. According to a 2017 report from CMI, 79% of companies reported that their goal was to increase brand awareness. For every brand, it is important to work towards improving your brand awareness. The degree of brand awareness reflects the level of understanding your audience has of your brand. It is not just the logo of your brand that audiences should recognize. Your audiences should also recognize what your brand represents. When your brand is trusted and recognized by audiences, chances are they will be interested in purchasing from you as well. This is why brand awareness is important for brands. 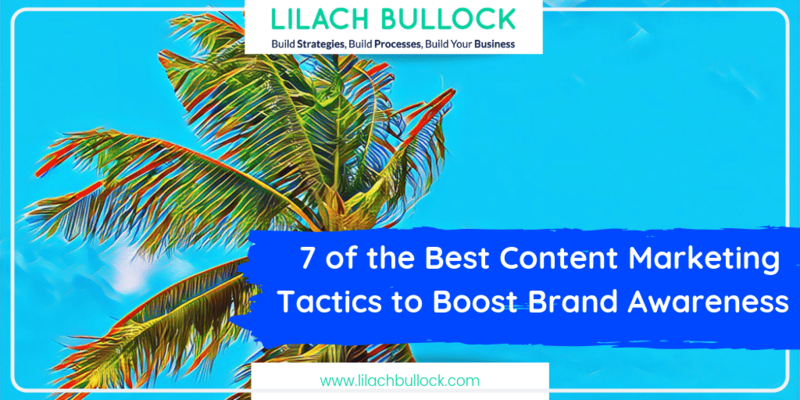 This post will guide you through some of the simplest yet most effective content marketing tactics to boost brand awareness. The first and most crucial step for any marketing strategy to work is understanding your audiences. 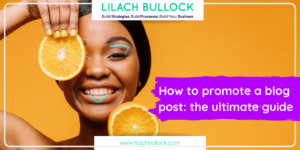 It is important to connect with your audiences because they are the ones who will consume your content. 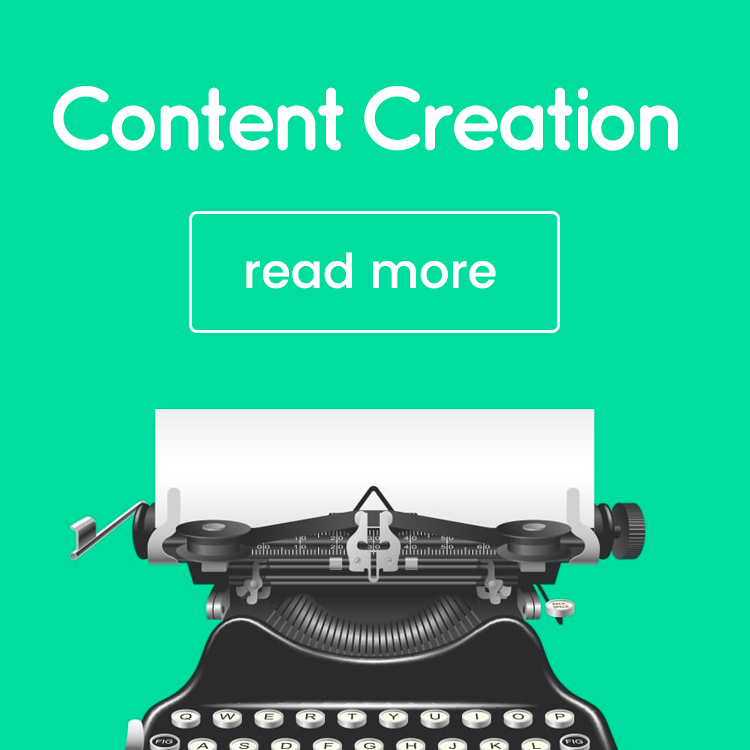 So you need to make sure your content caters to them. But the big question remains: Which demographics do you want to target? The demographics of your audience are a vital piece of the puzzle for brand awareness. Once you understand which demographics you want to target, it becomes much easier to develop content accordingly. You will be able to develop content that successfully appeals to their values and interests as well. You must develop your brand’s content keeping in mind the interests of your audiences and your brand’s principles. This will give you the opportunity to increase your brand’s visibility. It is also important to decide on how you are going to present your brand in front of your target audiences. 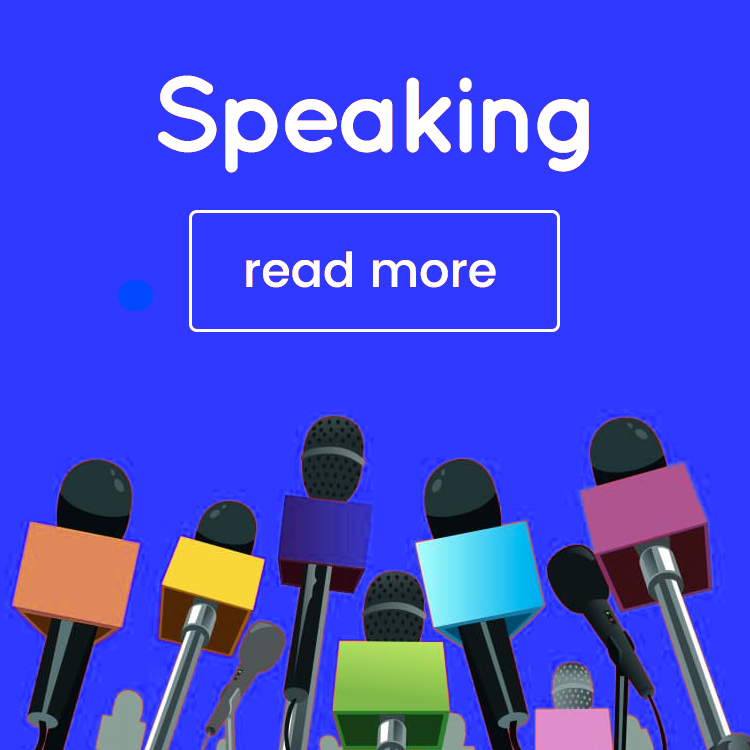 You should represent your brand in a way that your audiences can easily connect with. Also, ensure you reflect your brand’s values and mission in your story. This will help your audiences understand and gain awareness about your brand in a much better way. For a successful content marketing campaign, brands need to communicate compelling and impactful stories. Also, if you want to connect with your audiences on an emotional level, then brand stories are helpful. Once you are ready with your brand story, figure out where to share it. You can choose to share it on social media, as it provides a good opportunity to build relationships between your brand and your audiences. Also, social platforms are very helpful and impactful when you have a huge audience. A movie by Chipotle, “The Scarecrow,” is the best example to justify this point. 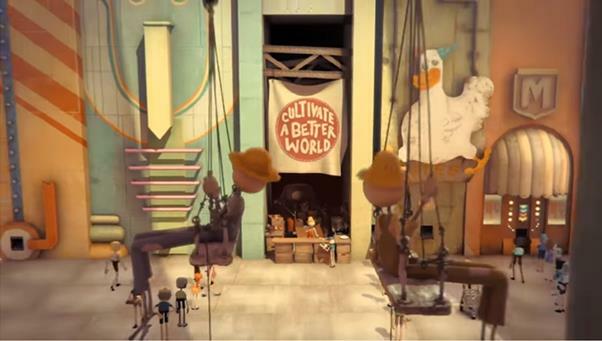 The brand made a short film which beautifully reflects the brand’s commitment and values towards their audiences. The objective of the brand was to promote that the livestock they use is hormone-free. And that the livestock was raised under sustainable conditions. Audiences can easily relate to the brand when they successfully communicates their values to their audiences. This also encourages audiences to become loyal towards the brand. 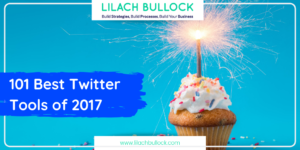 Social media sites like Twitter, Instagram, and Facebook are popular platforms to promote your brand and to reach your audiences. These platforms have quick and easy sharing buttons, which allow your audiences to share your content and help promote your brand. Social media can help you successfully connecting with your audiences. This results in boosting the awareness of your brand among consumers. Social media can also help you reach and educate your potential customers. Social platforms are also the best medium for strengthening your relationships with your audiences. They allow your audiences to comment with their opinions and feedback about your brand. And you can respond to them and interact with them, which will strengthen your relationships. But before you decide on which social platforms to use, find out the most used social media sites among your audiences. According to a study conducted by the Pew Research Center, the Facebook user base contains a wide range of demographics. As of 2017, Facebook has a total of 2 billion monthly active users. So, Facebook is a safe option to start with for content promotions. For example, Great Wine is a wine manufacturer from Bellevue. They use Facebook to promote their content. 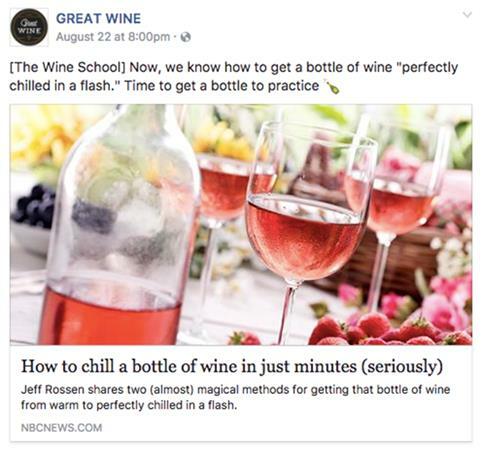 They educate their wine lover audiences by posting content with tips for drinking wine. If you think that just by creating content and posting it on social media, your target audience will find it and engage with it, you’re wrong. It’s not that easy. This is where social ads can come to your rescue. Social media ads can help you to scale up your content promotion and turn your audiences into buyers. All of this can be done with a limited budget as well. Facebook is one of the most popular content advertising channels. 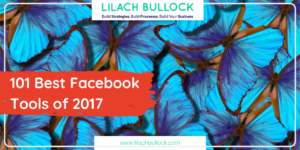 According to the 2017 Social Media Marketing Industry Report, 93% of marketers use Facebook ads. With more than 700 million active users, Instagram can also be used for posting social ads. The online community of Instagram is diverse and large, making it a very impactful social platform. The engagement rate generated by Instagram ads is higher than on Facebook or Twitter. High engagement rates mean improved brand awareness. 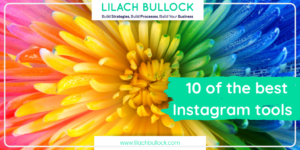 So if your main goal is to boost brand awareness, you should consider Instagram ads. It’s never too late to start with Facebook or Instagram ads. For successful content marketing, ensure your ads on social are visually attractive and are targeted to reach the right audiences. 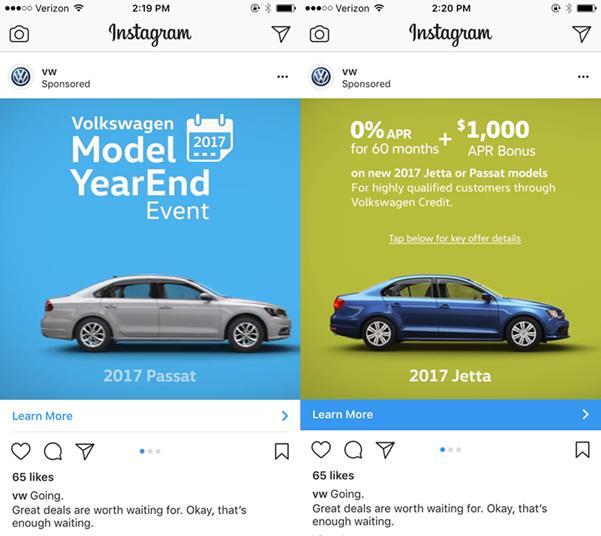 For example, Volkswagen posted ads for their new cars on Instagram. For a year-end event, they posted the images of the new cars that were on sale. To create original and relevant content, brands should collaborate with expert content creators. And who are the best content creators? Influencers. Many marketers think that influencer marketing and content marketing are totally different. But influencer marketing can be a vital part of content marketing. In fact, it is one of the most powerful, successful, and popular content marketing strategies. Having understood the significance of influencer marketing, 63% of marketers are ready to increase their funding of this strategy. The simplicity, authenticity, and originality of the content encourage audiences to engage with the influencers. That’s why nearly 90% of marketers choose to collaborate with influencers. Through influencers, you can effortlessly increase your brand’s reach and awareness. But how can you find an influencer who is related to your niche or brand? For this, brands can take advantage of tools like Grin, which will help you find highly relevant influencers. You can conduct your search in the relevant category and choose influencers based on location and social platform. You should also make sure the values of the influencer match with your brand’s values and principles. 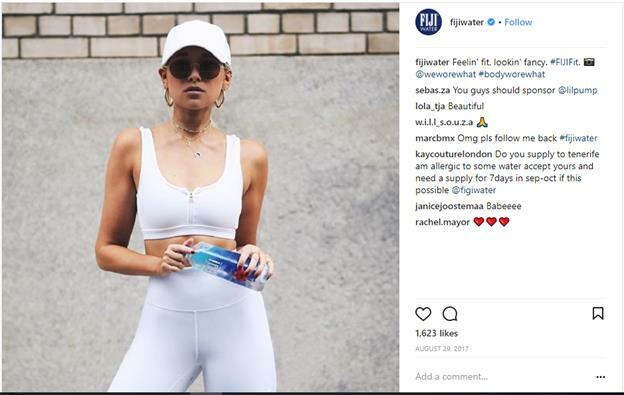 For example, Fiji teamed up with Danielle Bernstein, a fashion blogger. During the campaign, the brand uploaded workout videos of Bernstein. The purpose of the campaign was to reflect Fiji’s pledge towards keeping your body hydrated during workouts. And to motivate their audiences to be and feel as healthy as Bernstein. Email marketing is one of the most cost-effective and impactful ways of promoting your brand. It is also useful for strengthening your relationships with your audiences. Did you know a company can generate more than $40 in returns for every $1 investment in email marketing? 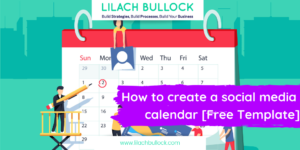 You can send a weekly or bi-monthly newsletter or email to your audiences. Make sure the email or newsletter is valuable for your audiences. You can send emails informing them about your new product launch, discounts, updates, etc. To boost brand awareness, ensure that the email is engaging and informative. Sending emails manually is a very tedious and time-consuming job. But by opting for automated email marketing, you can efficiently manage your emails. Automation of emails will help you to send emails at the right times. Also, the best part of automation is that emails can be personalized according to the audience. Personalization ensures the emails are more relevant to the audiences, resulting in higher click rates. 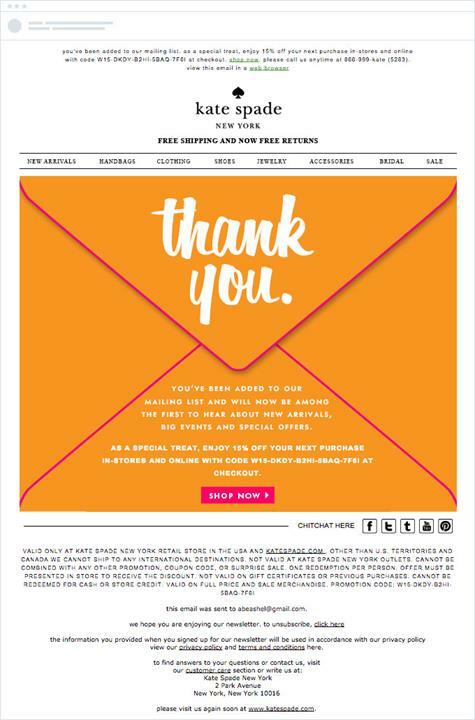 For example, Kate Spade is a fashion brand which sends an automated email welcoming their new subscribers. The screenshot of the email is given below. 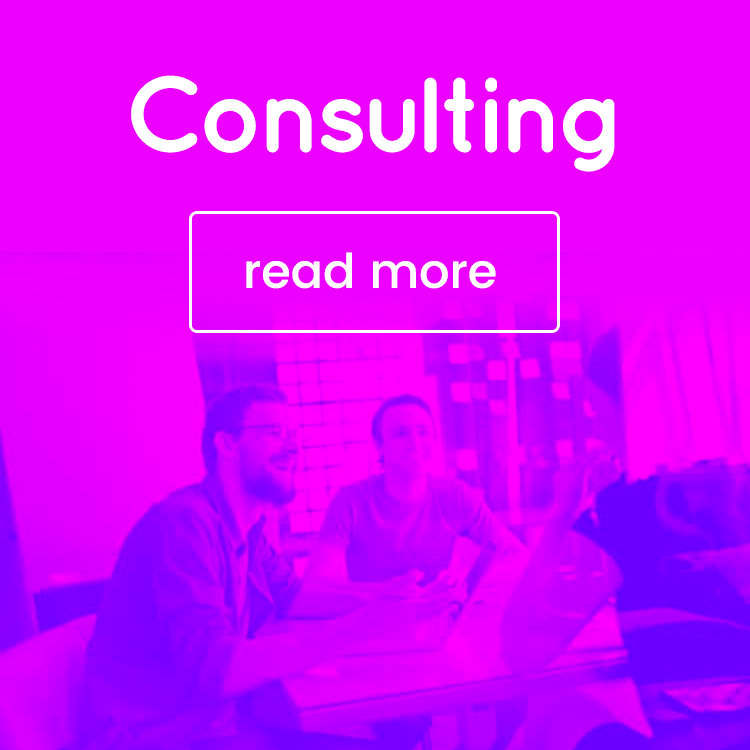 It is an attractive email containing a call-to-action. It is a proven fact that visuals are most effective and impactful than text. 37% of marketers agree that leveraging visuals is important and effective for their businesses. You can use infographics to share useful information in an engaging manner. This tactic is being used by 65% of B2B companies for their content strategy. On social media, the sharing and liking of infographics is 3X more higher compared to other forms of content. This is why infographics are popular and are being widely used by B2B companies and B2C companies alike. For example, that restaurant finding app, Zomato, creates simple, easy-to-understand, funny-looking visuals to ask their audience a question. By simplifying and sharing more complicated information through infographics, you can better engage your audience. And if they like it, there’s a good chance they will share it and help increase brand awareness. Visuals are the best way to get the attention of your audiences and help them understand your brand better. Make sure your infographics are interesting and add only the most important points. Tools like Infogram and Piktochart are popular tools for creating interesting and attractive infographics. For every brand, it is important to have a strong brand image as it will help audiences to differentiate your business from your competitors. 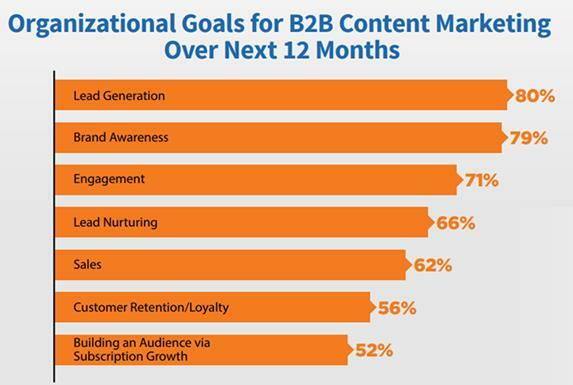 And brands can achieve this with the help of strong content marketing strategies. Do not underestimate the good old school email marketing tactic. By automating and personalizing your brand’s emails, you can significantly boost engagement and visibility. And you can use any combination of the above-mentioned content marketing strategies to amplify your brand awareness. If you know any other effective strategies to boost your brand awareness, please let us know in the comments below. 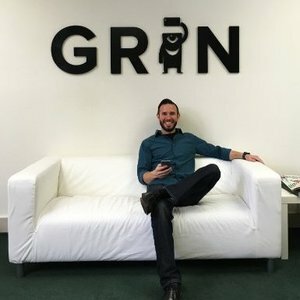 Brian Mechem is COO and Co-Founder of Grin, a software solution for companies who run influencer marketing programs.